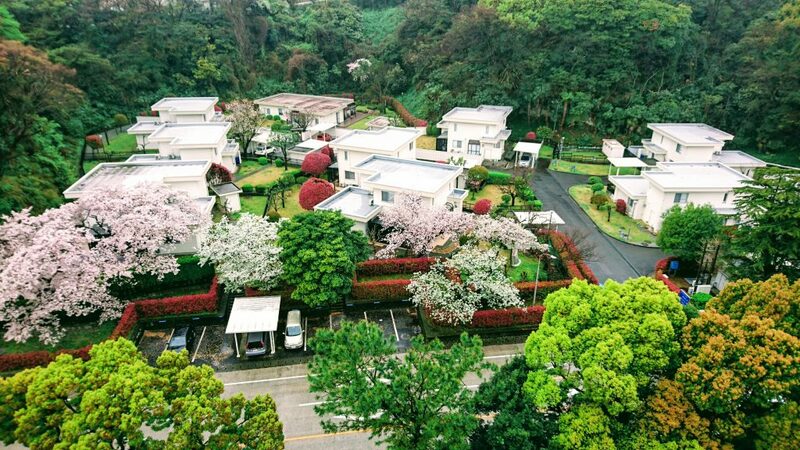 A tour of cherry blossoms on base. This is our neighborhood. Click on the photo for a brief tour of blossoms on base this weekend. They’re very beautiful, I think even more so in the rain because the petals aren’t competing with the sky for attention. The grey weather allows the graceful trees and contrast of deep bark and blush pink petals to stand out against the greens and reds of new growth. We are so fortunate to live here. Last night between Ben and Sam’s practices there was a brief meeting with parents to introduce some new families just joining the team. I managed to understand much of the introductions, and even introduced myself and the two boys in Japanese without stuttering too much. Relieved and proud of myself, I moved on toward the vending machine for some tea to warm me up for the next hour or so. (On weekends, hockey practice or scrimmages for boys in different age brackets requires about 6-8 hours each day, from leaving at 2:30pm to arriving home 9pm or later.) Suddenly, I heard a huge commotion, saw motioning hands and children hollering excitedly. I should have known it would involve Ben somehow. In the ensuing seconds of trying to decipher excited Japanese, I realized one common thread “CUP NOODLE!! CUP NOODLE!” Ben had managed to dump a full, just cooked, cup noodles in the stands. Oy. While waiting for the 3 minutes for the noodles to steep, he was doing some squats with another guy and had a little accident with his foot. I used his hockey socks to help mop up the seafood broth and two other dads (coaches) grabbed tissues to help us. It took a team of three to clean up the disaster. 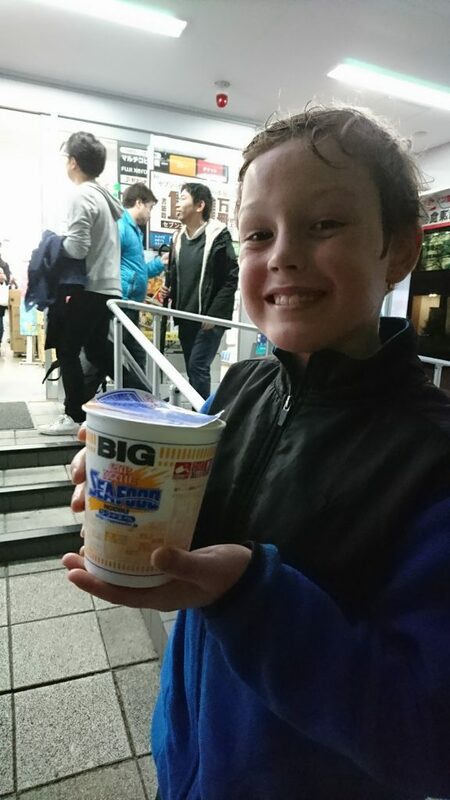 After I got done huffing a bit while figuring out how in the world this had happened – he’s very careful and very reliable with these Cup Noodle things he loves – we went and got another one. This time the BIG size. I sat by him the whole time as he ate this time, monitoring. Then I went to sit with some Japanese parents on Sam’s team and related the story in very bad broken Japanese with sign language to clarify. They taught me a few new words. Disasters are far more fun when you pick up new vocabulary. 😉 That said, Dave finds it interesting that his developing Japanese vocabulary has much to do with foods and culture…and mine? Well…I think it just reflects living with boys and adventuring. Of course there will be accidents and uproars. Right? Whew, they didn’t know what was coming when you arrived on base did they!!! I’ve just enjoyed a bucket load of pictures with smiles, LOLs, outright guffaws, and appreciation of your effort to navigate life in Japan as well as posting all these pictures. I especially appreciate your thoughts along the way — how you observe the boys and their direction. Such a good mommy. Dave – some authentic Japanese cooking when you get back!!! Sam and Ben – proud of you guys ? Allison – proud of all you do , a great ambassador all around.